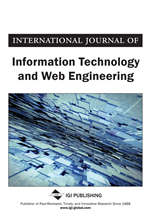 This manuscript discusses the implementation of information technology tools; specifically, computerized Knowledge Based Systems (KBS), in managing the energy flows, conversions, and expenditures within manufacturing environments; including renewable energy sources (namely, landfill gas). The study presents actual KBS embodiments in energy auditing, modeling, and optimization. Additionally, the text presents how IT tools can be used at a system level to integrate sustainability planning within manufacturing planning. The developed tool also addresses the question “how energy-efficient are renewable energy sources” using a novel simulation platform based on hybrid scheme. 38% of the world energy expenditure is consumed within manufacturing environments (IEA, 2008), including renewable energy sources. Due to the large energy losses in processing materials and goods, Original Equipment Manufacturer OEMs have been deploying more renewable energy sources into their energy mix; including but not limited to; landfill gas, and solar. Additionally, some OEMs start exploring second-life uses of their hybrid battery systems as auxiliary power supplies. However, such additional energy inputs will be coupled to the existing energy management centers, which are still based on fixed management strategies based on a push system. Furthermore, current energy management practices are not agile nor flexible to address production changes, in terms of product type change or volume, and how it relate to these renewable sources availability and its supply fluctuations. The research in energy-aware manufacturing is still in its early stages, where basic auditing tools and statistical regression models are being used. On the other hand, more involved and complex control strategies have been applied to other energy management fields; as in managing the Heating Ventilation and Air Conditioning HVAC operations in commercial and residential facilities (Borrelli et al., 2010). Knowledge Based Systems, coined as KBS in the remainder of this text, can be classified as artificial intelligence tools that attempt to represent and capture the human knowledge and complement it with reasoning logics (rule-based, case-based, and neutral network based), to enable a concise and an objective decision-making. KBS possess following attributes; it captures and stores the human knowledge, it improves the quality (objectivity) of the decision making process, and it can serve as an advisory tool to visualize system level metrics. Spiegler (2003) contrasted two models of human knowledge and the way it can be applied to production or manufacturing lines; the first is based on converting the accumulated data into knowledge using conventional hierarchy methods, while the second applies a reverse hierarchy approach. These two conversion models have led to different derivatives of the KBS implementations; mainly the Knowledge Discovery from Database or KDD, the Knowledge Management KM, and the Knowledge Based Engineering or KBE. This manuscript discusses the deployment of a KBS platform to help manage (i.e., to model, predict/forecast, simulate, and optimize) energy flows within an automobile production facility, with main emphasis on the renewable energy inputs or sources. The study is presented to discuss the data-gathering steps in section two entitled data collection; while section three demonstrates the proposed KBS performance and highlights its potential for energy savings.